SE-DI2 has two individual channels of active direct interface. 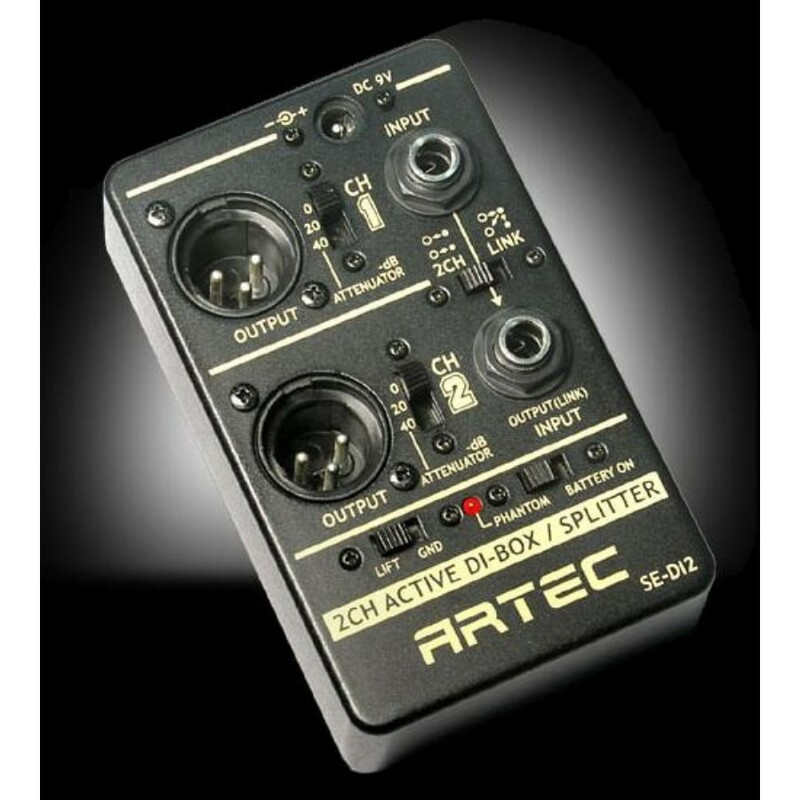 This pedal can work with 9V battery or 48V phantom power from linked amp or console. Link switch can select individual 2 ch mode or two balanced output link mode. Each channel has gain attenuator switch. 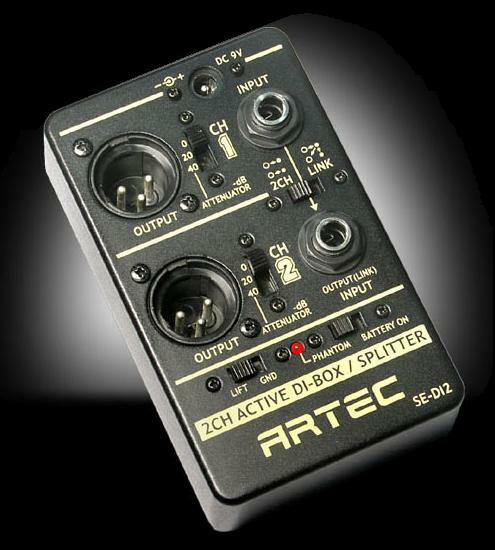 Ground LIFT switch can isolate the ground level between amps or console. but phantom power not applied on ground lift mode.